A recent list of the world’s 50 best beaches released by Canada’s largest online travel website has ranked the Whitsundays Whitehaven Beach at number two. Out of a total of 1,800 beaches, Whitehaven Beach just missed out on the top honours, placing second on the list. Judged by hundreds of leading professionals in the travel industry, a visit to Whitehaven Beach is one of the most popular Hamilton Island activities. Located in the heart of the Great Barrier Reef, Whitehaven Beach has previously been named Australia’s best beach by the TripAdvisor Travellers’ Choice Beaches Awards. The award-winning beach is one of the most beautiful and unspoiled beaches in the world and is known for its pure white, soft silica sand. 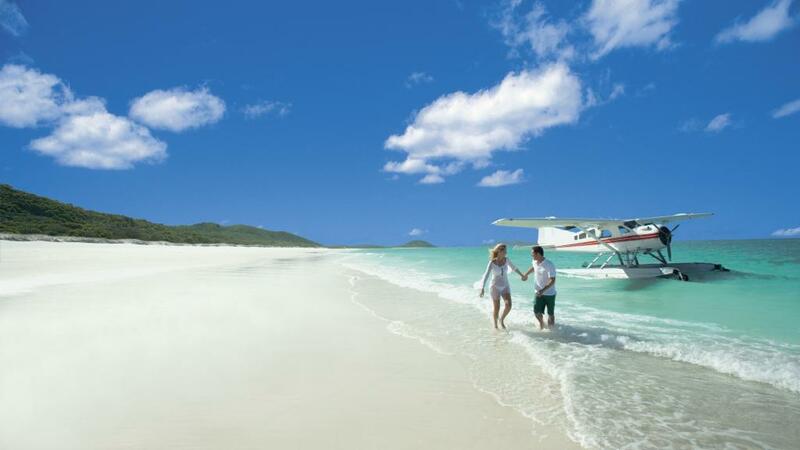 The 7km stretch of beach is only accessible by helicopter, seaplane or boat from Hamilton Island or Airlie Beach. The Canadian website described the beach as “Whitehaven will make you believe in love at first sight. Composed of 98-percent silica, the sand here is some of the whitest on Earth. But the baby-powder-like sand isn’t all that makes every visit to this piece of paradise one to remember. Visitors can only access this 7 kilometers of coastline along the warm, clear waters of the Coral Sea by helicopter or seaplane to experience this spectacular island. Taking out top honours was Grace Bay in Turks and Caicos which only just beat Whitehaven for the title of the best beach in the world.